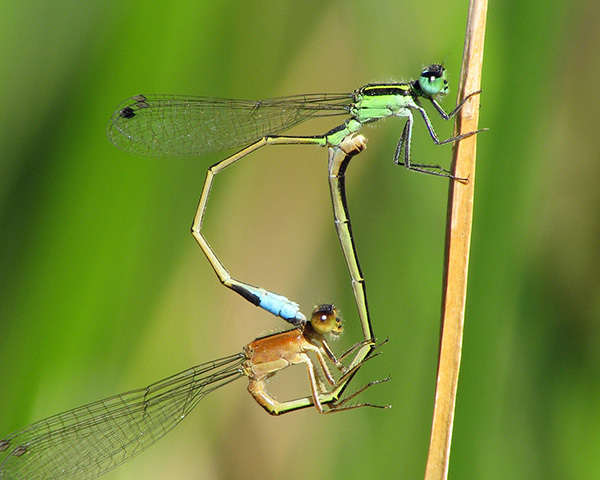 Pairs of odonates in tandem and consisting of two different species are occasionally seen, but finding heterospecific pairs in wheel (i.e., in copulation) is exceptional and this phenomenon has apparently been rarely documented. 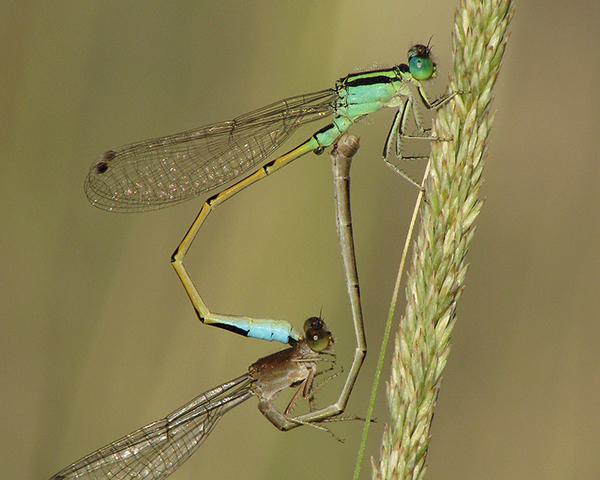 On 14 September 2010 a pair in wheel and consisting of a male Desert Forktail, Ischnura barberi, and a female Rambur’s Forktail, Ischnura ramburii, was observed along the Wild Horse Pass stream, Maricopa: see first picture below. 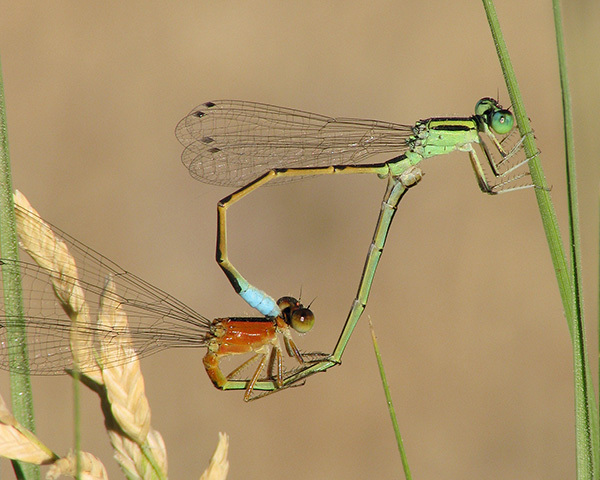 For reference the second picture below shows a copulating pair of Rambur's Forktails and the third picture shows a copulating pair of Desert Forktails. The three pictures are from the same location. Thanks to Doug Danforth, Rich Bailowitz, and Dennis Paulson for comments on the subject.